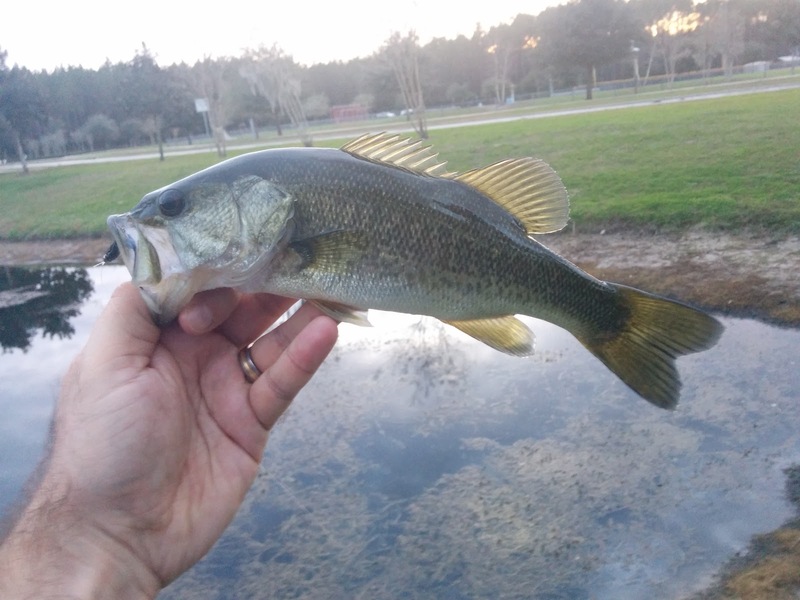 Hadn't fished too much over the holidays, so I decided to hit the neighborhood ponds at dusk last night to squeeze in about an hour or so fishing session. Wasn't having much luck with the normal tactics, so waited until the sun went down and switched over to some leech patterns, hoping the bass would become a bit more active in the dark. 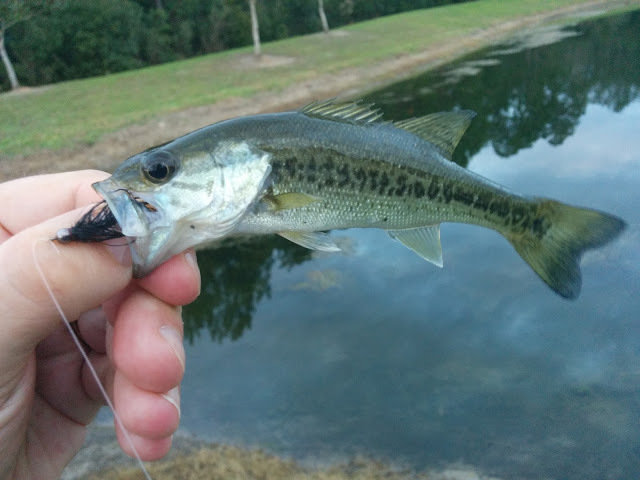 Fortunately, it seemed to be what the bass were looking for, as the activity picked up and I brought about 8 or 9 to hand of all shapes & sizes, and probably lost 3 or 4 during the fight. I missed out on a really nice bass, that I'm kind of kicking myself for not landing. I survived the initial run and head shakes, but when it dove deep I thought I had a tippet or knot failure - but it just kicked my hook. Next time I suppose, at least I know where it lives! Pardon the photography, it was taken with my phone in the dark. My phone doesn't really care for the dark. Cool! Up that to 3 X my man. They won't care - esp. at night. You're right. I didn't use 5x for any strategic reasons, it's just what was tucked in my slingpack. I never re-stocked my bag from when I went trout fishing up in PA a little while back. 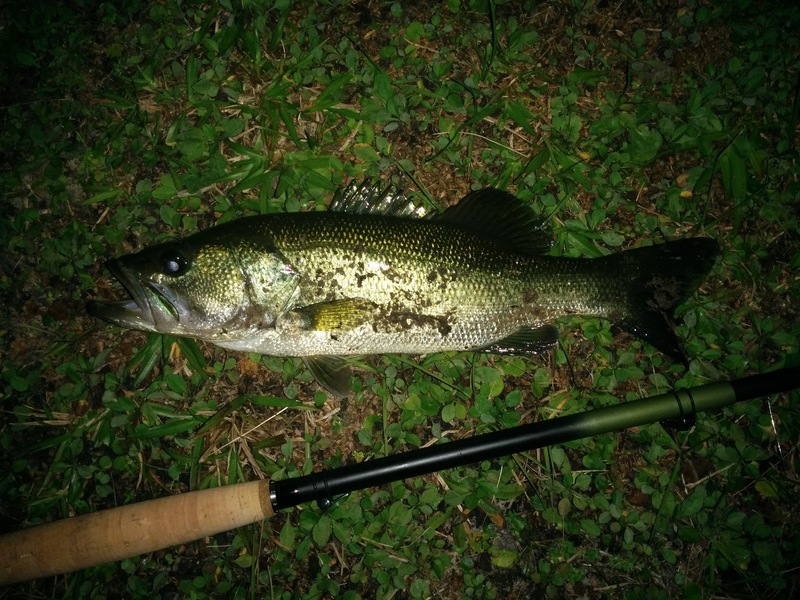 Heck, when I fish for bass on tenkara, I usually use 6 lb. test Berkley Trilene. That said, for anyone who is reading this (not really for you Owl), especially those that are new to tenkara, please make sure you know the manufacturer's tippet suggestion for your specific rod, or you may risk breaking a tip. Most seem to suggest 4x or 5x, but others, particularly some of the beefier tenkara rods are probably OK for stronger tippet. Would rather my tippet break off than my rod tip any day. Sounds like you guys have had some warm weather Mike. I'm jealous of that! Was never that warm at Christmas when I lived in PA.
What Owl said! Nice looking fly, too. Is that all craft fur? What wt is that rod equivalent to? Appears to be, I didn't tie it. 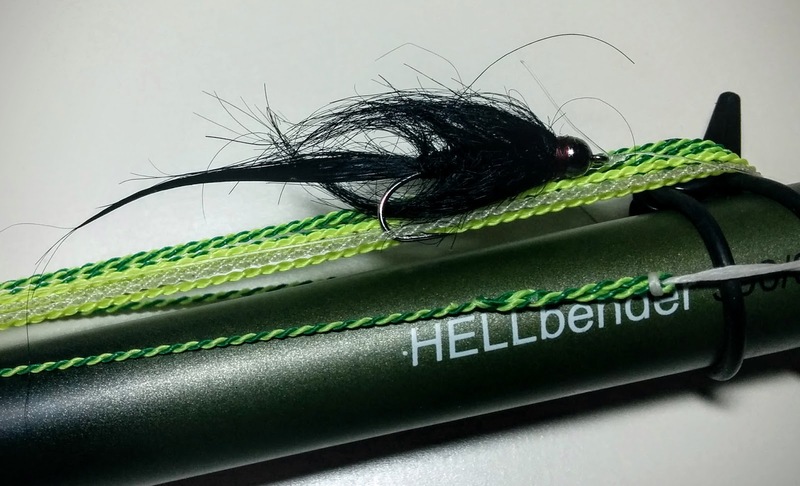 Tenkara rods don't really have weights per se, but the Hellbender is a touch "heavier" than most. I've got one rod from Badger Tenkara called the WISCO that I'll probably bring the next time I go back, I bought it to harass carp and play around in the salt. It's stout. I know that big one is just sitting out there thumbing it's nose at you. Can a Bass do that? I'm certain they can, and are. Basstards. Of course they thumb their noses at you. You're Troutrageous! Basstards!